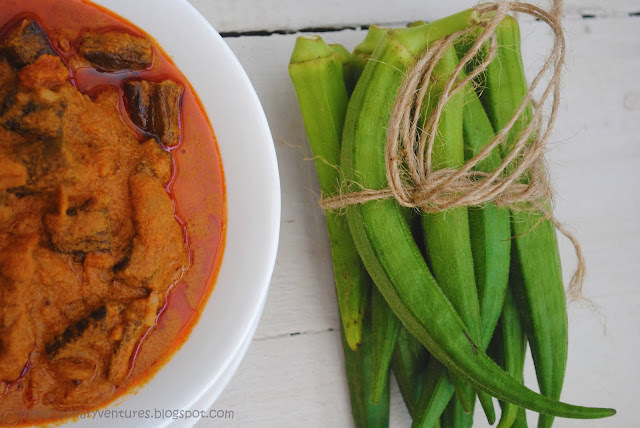 Vendakka(Okra) Curry and a Giveaway! 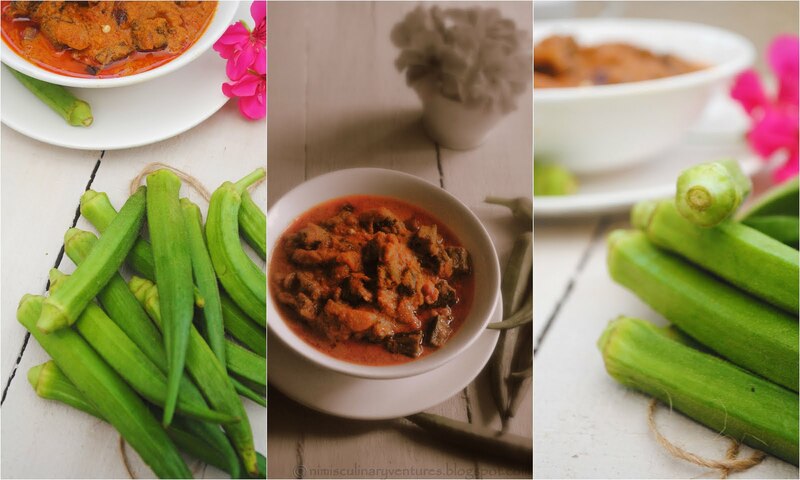 The best part after two months of heavy rain is when you see the sun smiling down on you.Clear blue skies and everything so green green..Hmm..by the way green reminds me of Okra.Yes today I have got a recipe for an Okra curry.If you are in the look out for a curry with cooked rice,this is a must try. 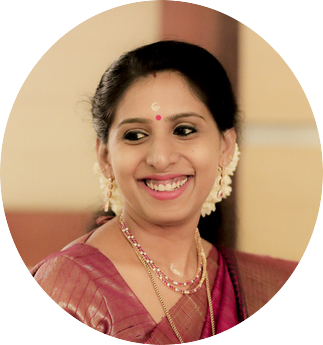 “Lip Smacking dishes of Kerala”! 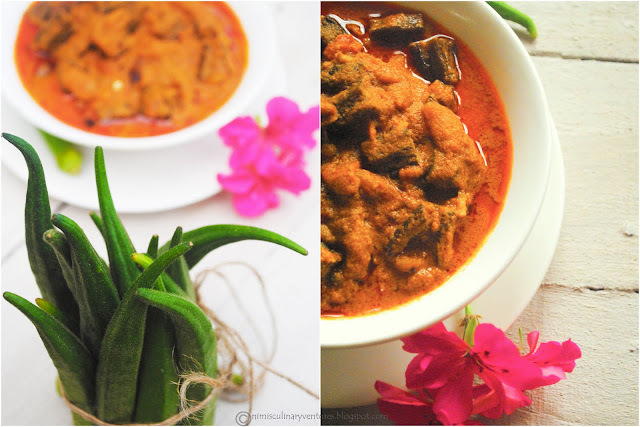 Heat a oil in a kadai ,deep fry and separate the okra.Grind the grated coconut into a fine paste. 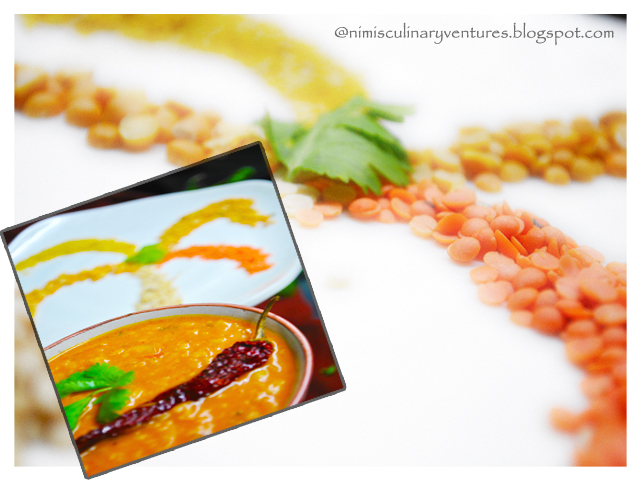 1.Subscribe to “Nimi’s Culinary Ventures” in an RSS feed or through Email. 2.Become a fan of my Facebook page and FB cookbook page. Deadline for entries of this giveaway is Wednesday,31st of August 2011.The winner will be chosen through Random. 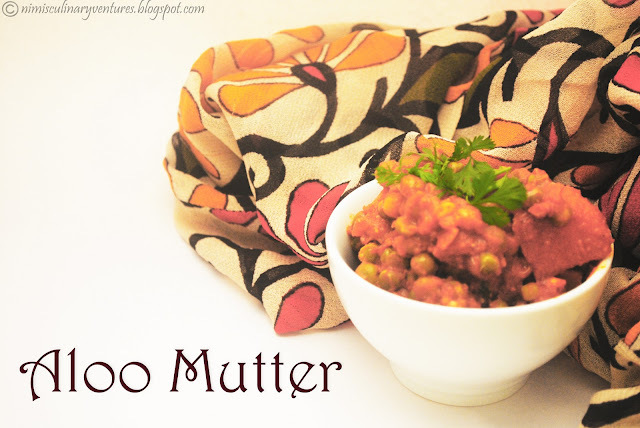 Aloo Mutter an impeccable delight! Aloo Mutter is a dish that my hus always craves for rotis/chapathis..This lovely combi of potatoes and peas really kicks up your taste buds..
Fry and seperate the potatoes and peas in oil.In a heavy bottomed pan fry the onions and saute in the ginger garlic paste and all the spice powders (chilli ,coriander,cumin and turmeric except garam masala).Add blanched tomatoes and simmer till the spices are cooked.Add in the potatoes and peas let it cook covered.Pour in about 1/2 cup of water if the gravy is very thick,When the potatoes and peas are well cooked,add in the well beaten curd and simmer till the gravy becomes thick.Garnish with coriander leaves. 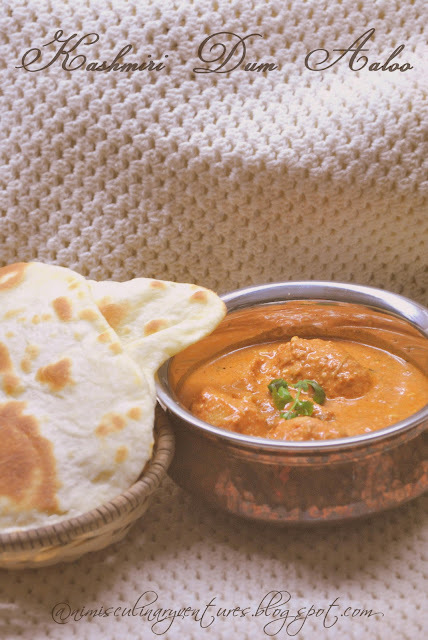 Kashmiri Dum Aloo for ICC! 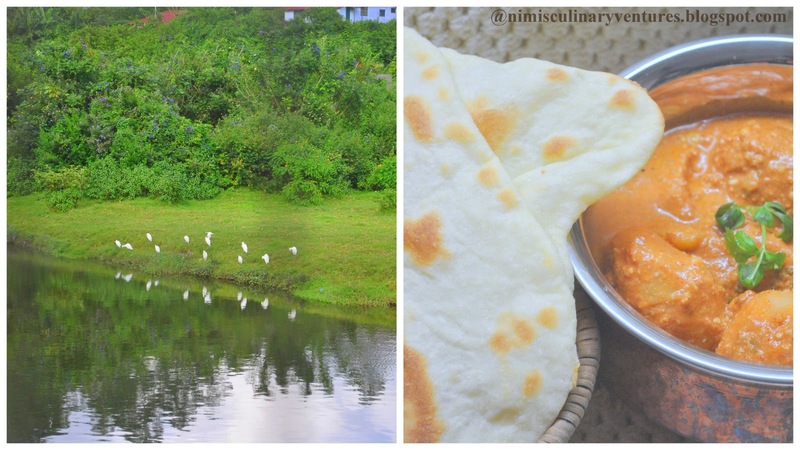 Reading through this post I’m sure your eyes stop at a snap with scenic snap..u c those white storks..i know i haven’t quite zoomed them(the view was the back part of my house).The reason for the white storks lurking next to the dum aalo …he he..while I was clickin the curry ..I couldnt help my self from shooting these white beauties..
Wash the potatoes well and poke them all over with a fork. Soak them in water for 20 mintues adding a teaspoon of salt to it. Heat a pan with oil and deep fry the potatoes till golden in colour. Drain them on a kitchen towel . Heat the mustard oil in another pan, add the clove powder and asafoetida and mix well. To do the dum, seal the edges of the pan’s cover with the dough to ensure no steam can escape. Put on the stove, cook on a low flame for 10-15 minutes. 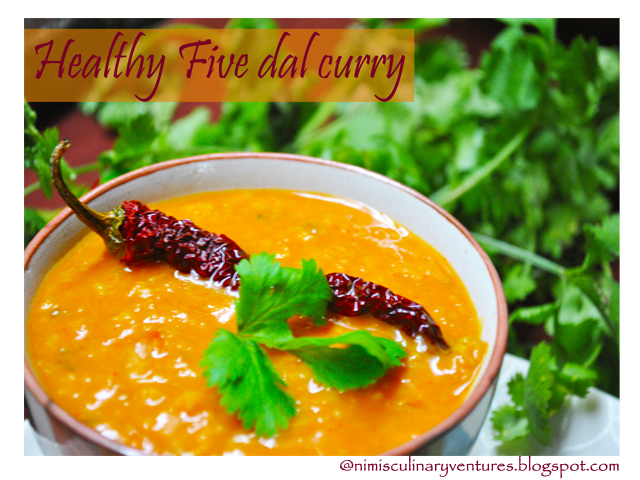 Five Dal Curry a Health Star! I think I have been a bit too lazy to do my posts in my last days.After my battle in household chores ..I feel like lazin out.Last day I came across a recipe in a local magazine for the diet conscious people.I tried out this recipe as a curry with chapathis for dinner.The mixture of 5 dals gives us the protein content as a bonus.A person gets about 93 calories.Hope you’ll find this recipe helpful.. 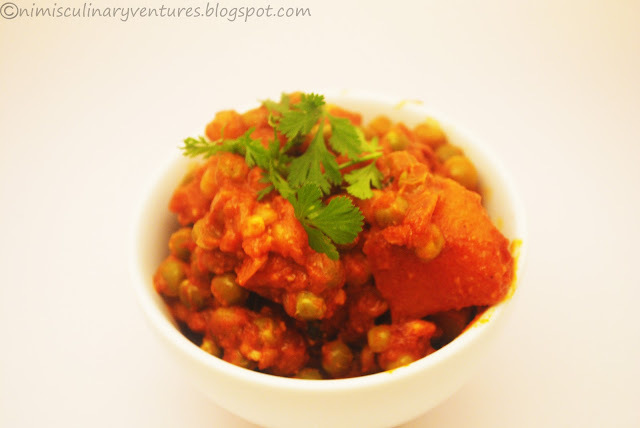 Mix all the dals together in a bowl,pour water and let it soak for 1 hour.Wash and seive them out. In a heavy bottomed vessel lightly fry the cumin seeds without oil.Stir in the diced large onions and fry them till they turn pink . 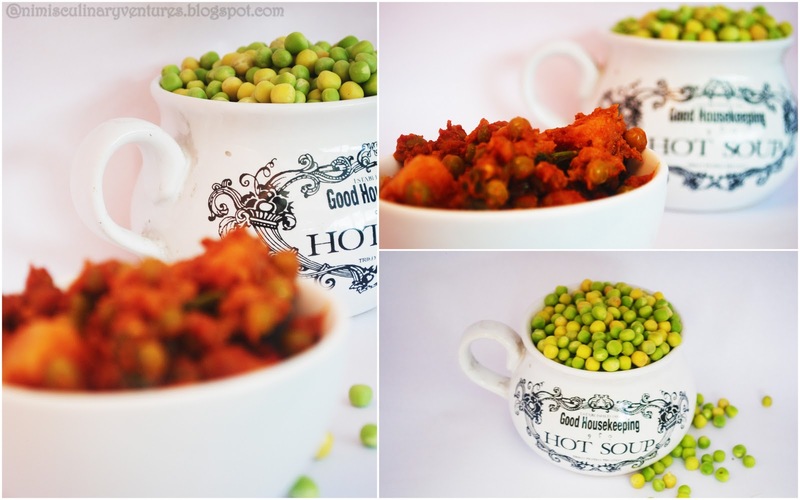 Pour 1 litre of water and add the dals into the vessel.Cover it with a lid and let it cook. When the dal is cooked add in the chilli powder,turmeric powder,tomato and salt. Add in the curd and let it simmer till the tomatoes have been cooked. 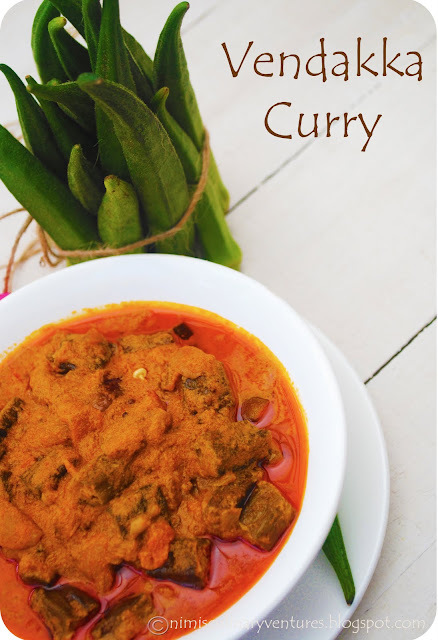 Stir in the garam masala powder and garnish with coriander leaves.